A few months ago I took the plunge with the bullet journal, finally. 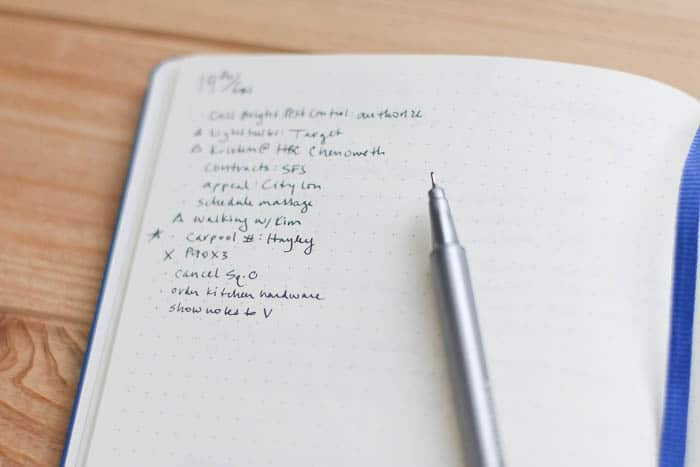 I’m loving it, and this is why: my bullet journal holds the exact same information I’ve been tracking on legal pads and sheets of loose-leaf paper for years, but all in one place, plus an index. I should have made the switch a long time ago. I learned a lot in my first week with the bullet journal, especially that this is something you have to learn by doing. I kept mine super-simple at the beginning. It’s still relatively simple, but as I’ve gotten comfortable with the basics, I’ve branched out a little and tweaked the system to meet my own needs. For me, the right tools matter. I’m still using and loving my Leuchtturm 1917 (dotted, in navy). My favorite pen is the Pilot Precise V5. I also have and happily use my Staedtler fineliners (especially in grey, which I can’t find online but are at my local Target) and the Uniball Signo 207. The daily log is hands-down the thing I use the most in the journal. I use a handful of signifiers on a daily basis to keep everything organized. • a heart is for something I want to remember. This one’s my favorite! I use these for when someone loses a tooth, or we have an especially fun dinner hour, or a friend dropped by. I’ve started using these when we travel to keep track of what we did on our trip—this alone makes me wish I started bullet journaling years ago. When I started, I kept to the future log, monthly log, and daily log, and began adding the “extras” slowly. 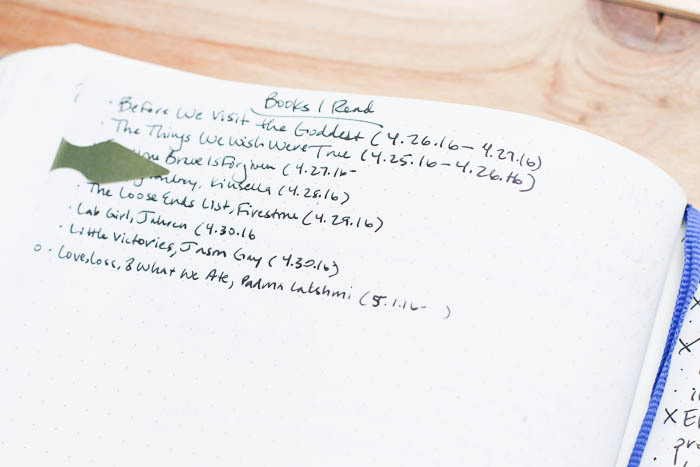 Now I include something in my journal if I want to have it easily available at all times. 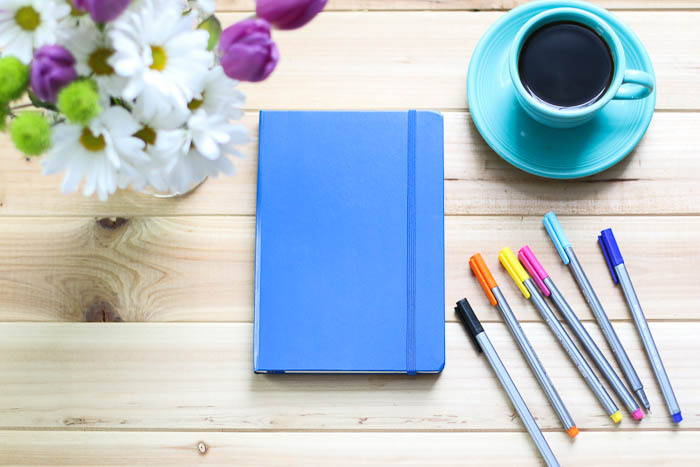 If I only need the information at my desk or in my home it doesn’t need to be in my journal. This layout is simple, but as a visual planner it’s so helpful to capture a week’s worth of prospective content in one place. I used to do this on a legal pad, but it makes so much more sense to keep it here. • book darts and they’re working beautifully to highlight pages I’m using all the time at the moment (Books I Read, and Summer Reading Guide prep). The dart makes it super simple to find what I’m looking for in a snap, and when Summer Reading Guide prep is no longer something I’m turning to daily, I’ll remove the dart. • post-it notes. 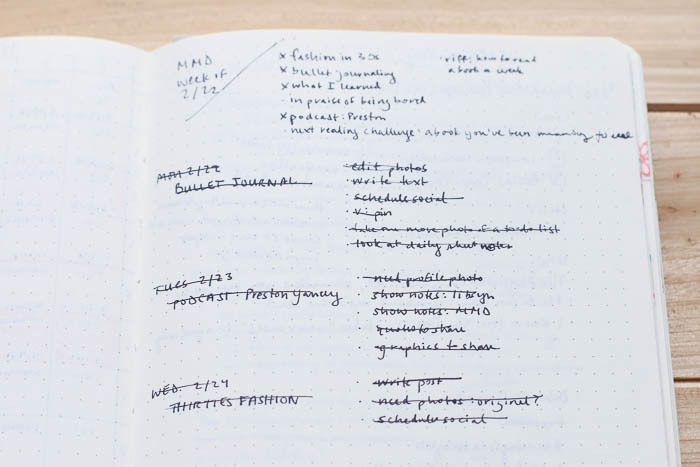 It drives me crazy to have twenty piddly tasks on my daily log for two-minute tasks like emails and phone calls: it distracts me from the truly essential, important, and memorable. 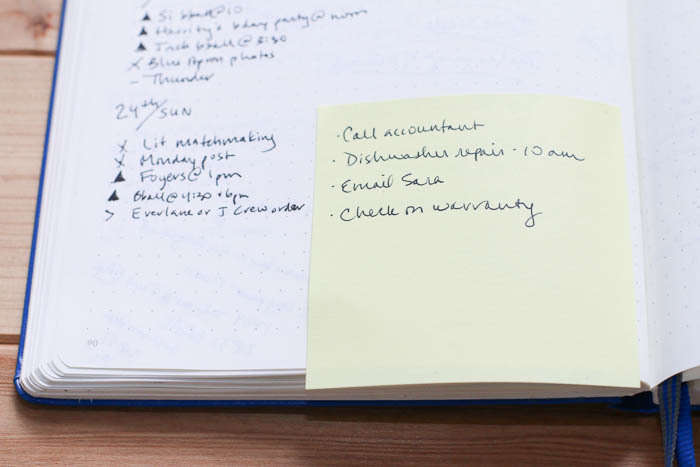 If I see a lot of these piling up for the day I grab a post-it, stick it next to the daily log, and jot those pesky tasks there. When the list is complete I trash the post-it. Next articleWill Running 5K Every Day Make Me Lose Weight?